The Ashes 2013; it is cricket, it is historic rivalry and then of course it is the vintage flavor, which makes the Ashes the most awaited tournament for cricket fans all over the world. Since 1882, the Ashes series has developed into a different sort of a world cup for both England and Australia. Both the nations wait anxiously for the ultimate cricketing clash of the year. It is the clash, which is worth all the wait and speculation. England and Australia are backed by the tremendous support from the celebrities, politicians, sports person and the entire public of their respective nations. The venue of the Ashes series shifts alternatively between the two countries and this time England is hosting grand event. It consists of 5 test matches which will be played from 10 July to 25 August. 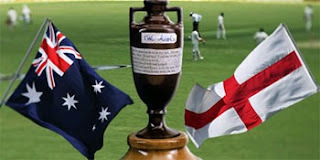 Who will win the Ashes this time? The answer to that question lies in the depth of time. But with some help from Numerology we have attempted to predict the first match of the series. Keep up with us, while we predict all the matches of Ashes series. The test match will begin on 10.07.2013. The Mulank of the date of the match is 5, while the Namank of Team England is 8. The relationship between 5 and 8 is friendly, which is indicates a positive sign. Further, the Namank of the captain of the team Australia is Alastair Cook 8, which is friendly with 5. Here, we are getting another positive sign. The test match will begin on 10.07.2013. The Mulank of the date of the match is 5, while the Namank of Team Australia is 8. The relationship between 5 and 8 is neutral, which indicates neither a positive sign nor a negative one. Further, the Namank of the captain of the team Australia is Michael Clarke 2, which is friendly with 5. Here, we are getting another positive sign. The Mulank of the date of the match is 6, while the Namank of Team England is 8. The relationship between 6 and 8 is friendly, which is indicates a positive sign. Further, the Namank of the captain of the team Australia is Alastair Cook 8, which is friendly with 6. Here, we are getting another positive sign. The test match will begin on 10.07.2013. The Mulank of the date of the match is 6, while the Namank of Team Australia is 4. The relationship between 6 and 4 is friendly, which a positive sign. Further, the Namank of the captain of the team Australia is Michael Clarke 2, which has a neutral relationship with 6. Here, we are getting neither good sign nor bad. The Mulank of the date of the match is 7, while the Namank of Team England is 8. The relationship between 7 and 8 is inimical, which is indicates a negative sign. Further, the Namank of the captain of the team Australia is Alastair Cook 8, which is inimical with 7. Here, we are again getting another negative sign. The Mulank of the date of the match is 7, while the Namank of Team Australia is 4. The relationship between 7 and 4 is inimical, indicating a negative sign. Further, the Namank of the captain of the team Australia is Michael Clarke 2, which has negative relationship with 7. If the match is played even after the third day then, England will be leading on fourth day and Australia on the fifth. Therefore, analyzing all 5 days, we can deduce that England will win the first test match in the Ashes 2013. However these are mere possibilities and no risk should be taken on the basis of this prediction. We hope to see an interesting clash between the many decades old rivals.